Bet365, one of the largest online bookmakers in Europe with over seven million satisfied customers, has now focused their efforts on the ever-increasing number of users that are placing bets on the bet365 mobile app. Ranked as the number one internet gaming company by eGaming Review magazine for three years in a row (2010 – 2012), the UK-based company provides sports betting, online casinos, bingo games and video streaming of live sporting events. Available on iOS and Android devices, the bet365 mobile app known as bet365 On The Move, features live streaming of most major sporting events including soccer, tennis, darts, cricket, squash, basketball and snooker to name a few. To access the video feeds, however, you have to have funds in your mobile bet365 account or you have to have placed a bet in the last 24 hours. 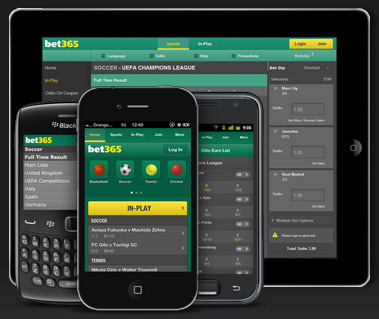 The majority of events that are available for betting on the bet365 internet site can also be found on the company’s sports betting mobile app, as can most of the betting options including in-play betting, full live score coverage and the ability to instantly place bets with the Quick Bet feature. For new and existing customers, Bet365 offers a 100% betting bonus worth up to £50 when you place your first bet on mobile bet365. To get the bonus you just need to place a qualifying bet of at least £1 on your smartphone or tablet, after which you will receive an email with a promotional code that you will need to enter the next time you visit the site. This mobile betting bonus is in addition to the site’s regular 100% welcome offer that will reward you with up to £100 when you first sign up. 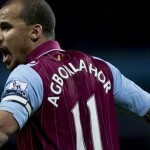 That means you can easily bank £150 just for becoming a bet365 punter. And if you need a hand with any of the features or bonuses found on bet 365 mobile, the company’s support team can be contacted by phone or live chat 24 hours a day, seven days a week. Email support is also available for those on the move. 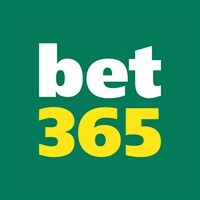 A fantastic well-rounded app, bet365 On the Move is a dream come true for mobile sports bettors. With a comprehensive array of betting options and markets, great bonus offers, and exceptional customer care, you’ll be hard-pressed to find a more well-rounded sports betting app. To take your bets with you with bet365 and stay on top of the action, download the app here.